He said leaving without a deal could lead to armed posts and the frontier would "look like 20 years ago". Mr Varadkar said: "It would involve customs posts, it would involve people in uniform and it may involve the need, for example, for cameras, physical infrastructure, possibly a police presence or army presence to back it up." But the claims were branded nonsense by Democratic Unionists who warned Mr Varadkar his comments were "unhelpful". DUP MP Gregory Campbell said the Taoiseach should "dial down the rhetoric", saying: "This is deeply unhelpful talk. Mr Varadkar knows full well the connotations of such statements and he knows it's nonsense." "Why would we give up a legal guarantee and something we know will work in practice for a promise to sort it out later, or a promise to invent technologies? That's just not a serious position." And the premier's comments prompted officials in Dublin to issue a clarification. A government spokesman said Mr Varadkar did not mean Irish troops would be deployed at the border. He had made it clear he was "determined to avoid a no-deal scenario and the consequent risk of a hard border". But Mr Varadkar claimed that Ireland had been "victimised" by the Brexit process. Ireland has already compromised in the negotiations, he said. "We're the ones already giving." 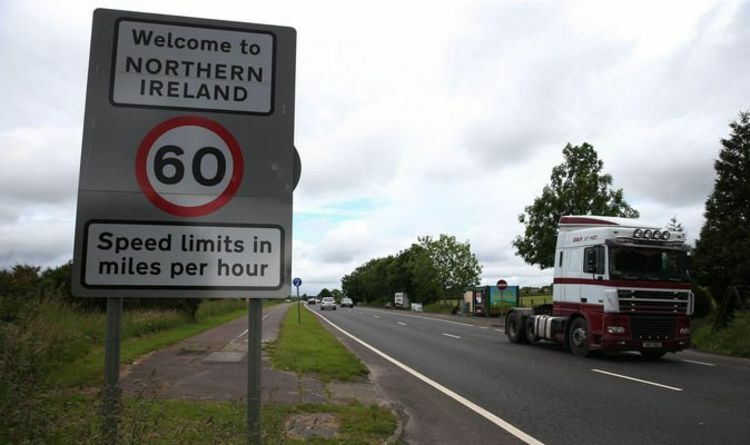 Meanwhile, a Treasury minister said a no-deal exit would inevitably lead to a hard border in Ireland. Mel Stride warned the integrity of the United Kingdom would be under threat and could lead to a referendum on a united Ireland. In an interview with The House magazine he said: "We are not going to impose a hard border, but the EU will presumably be insisting that the Irish government goes in that direction otherwise they damage the integrity of the single market."